Mr. Michelena has extensive experience in the handling of Workers' Compensation claims. In the 1960's he worked as a claims examiner and became claims manager for a major Workers' Compensation Insurance company. However, in 1970 he changed his focus and began representing injured workers and has done so since that date. This knowledge of the inner workings of insurance companies helps ensure that he obtains the best results for his clients. 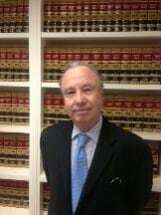 He has served as a Judge Pro Tem in the Los Angeles Municipal Courts and has served in numerous positions in Workers' Compensation Section of the Los Angeles County Bar Association culminating in his position as the Chairperson of the section. He has lectured and sat as a moot court Judge at various Law School competitions.